DO NOT PANIC! 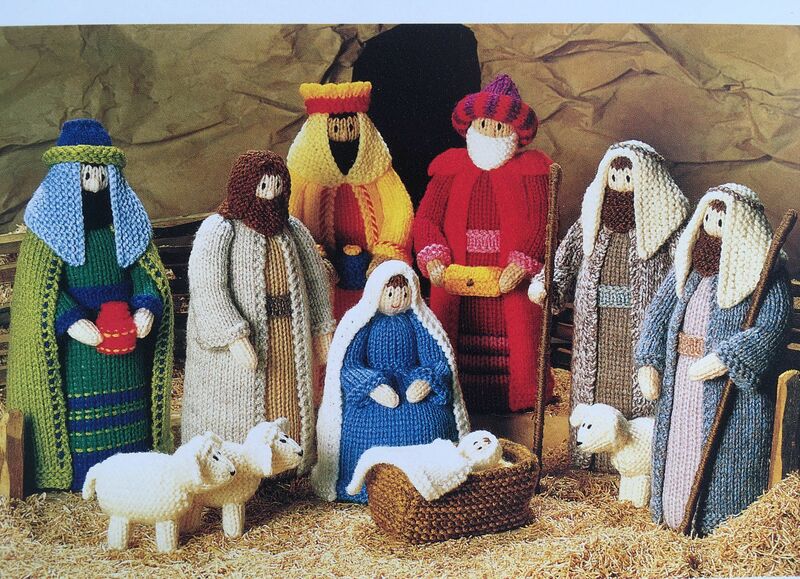 I am not going to suggest you grab you knitting needles and whip up a knitted nativity by the 25th of December. There really is enough pressure on us all at this time of year as it is. Now, this really is the shortest newsletter I have ever written, my husband will heave a sigh of relief, he's my chief proof reader, and rather than pointing out catastrophic errors and ambiguities in grammar and spelling, he normally gives a snort and mutters under his breathe "you do go on rather a lot"! Anyway, all I want to say is a huge thank you for your amazing and continuous support throughout this year. Myself, Marya and Olivia wish you all a very merry Christmas and a safe and restful holiday. We will be closing mid afternoon on Christmas Eve and reopen on Thursday 3rd January. In true 'shop keeper fashion' may I gently nudge you to call by the store this coming week and pick up a few last minute knitting necessities, and in true 'middle aged and slightly tired wife and mum fashion' may I remind you to go easy on yourself, forget being superwoman, and leave clear instructions for the rest of the family on how to load (and unload) the dishwasher.